Compare the Poodle to the Shih Tzu. Use the tool below to compare temperament, size, personality, maintenance requirements, and everything else between Poodles and Shih Tzus. Below are a few quick comparisons between the two breeds. Owner Experience - Both the Poodle and Shih Tzu are excellent choices for new or inexperienced owners. Children - Both the Poodle and Shih Tzu are great with children. 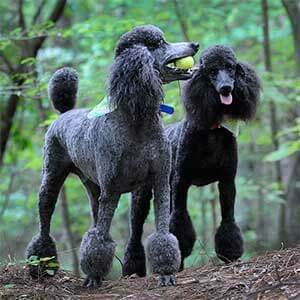 Grooming - Both breeds have high grooming requirements, but the Poodle is slightly easier to groom between the two. 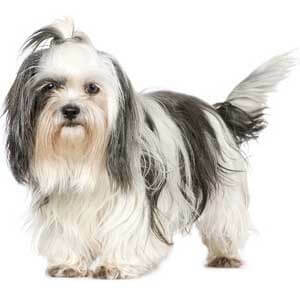 Barking - Both the Poodle and Shih Tzu are average barkers. Lifespan 12-15 yrs. 10-15 yrs. Height 15-24 in. 9-10 in. ¹This is estimated min/max temperature range for a healthy adult dog. Dogs that live indoors, puppies, seniors, unwell dogs, and/or dogs with improperly groomed coats may overheat sooner and get cold more quickly.